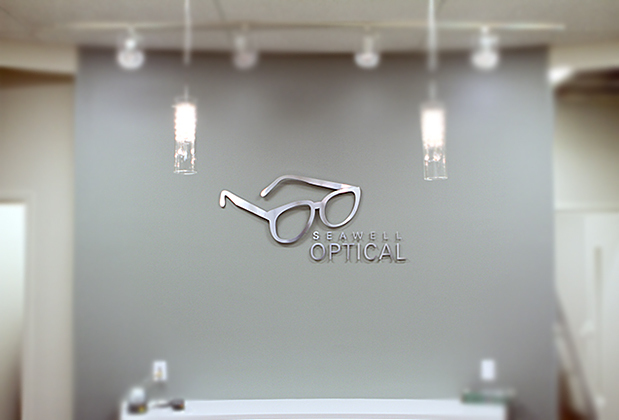 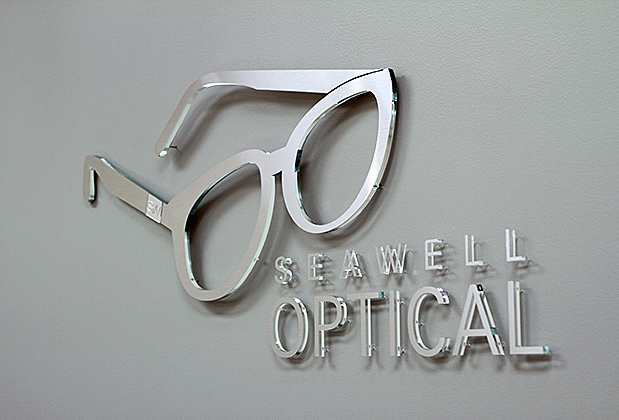 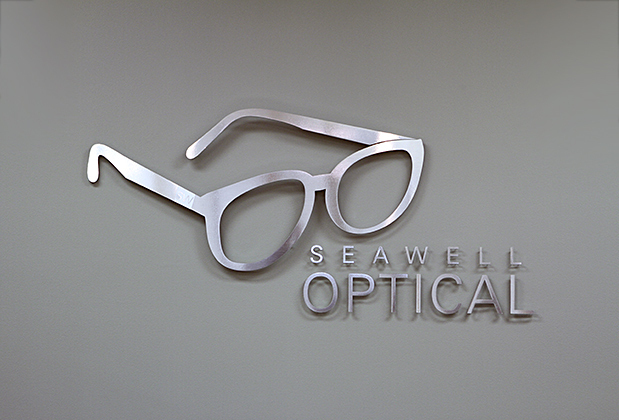 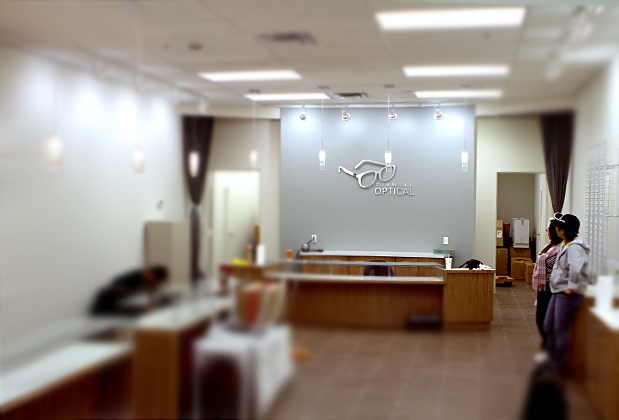 Customer Seawell Optical 1/2 acrylic with brushed metal film and clear exposed edges. 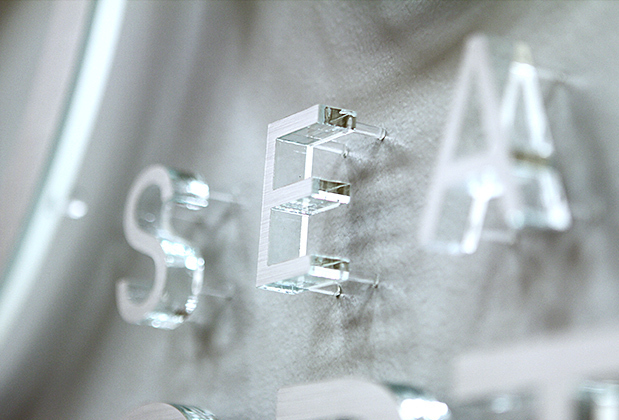 Clear edges gives a lot of reflections when directional lighting is used. 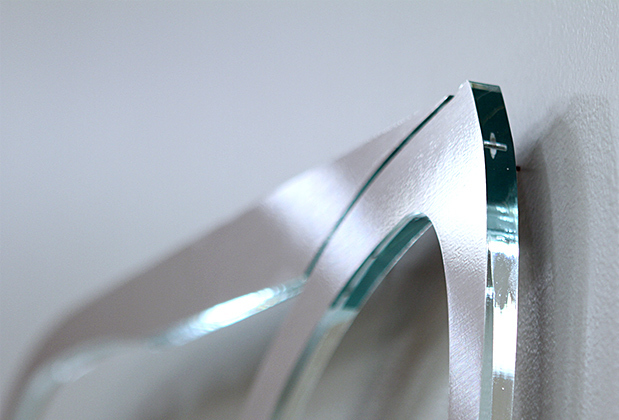 Nice reflection, simulated glass edges. 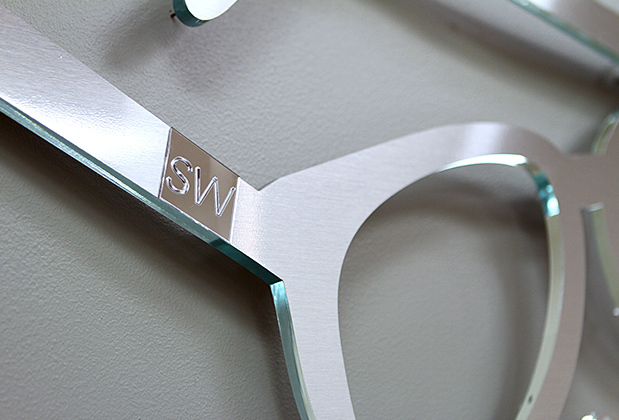 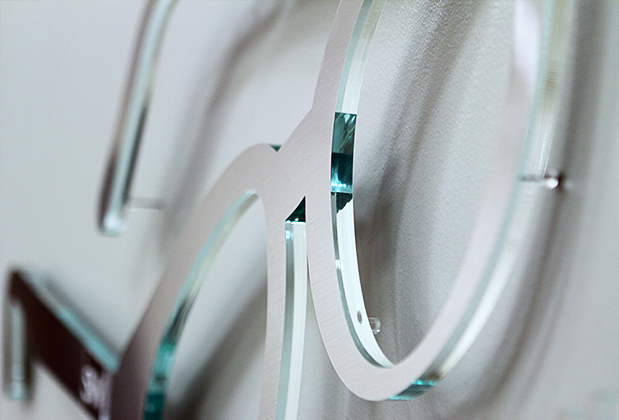 Additional decorative element made of 1/16 mirror attached to the frame.